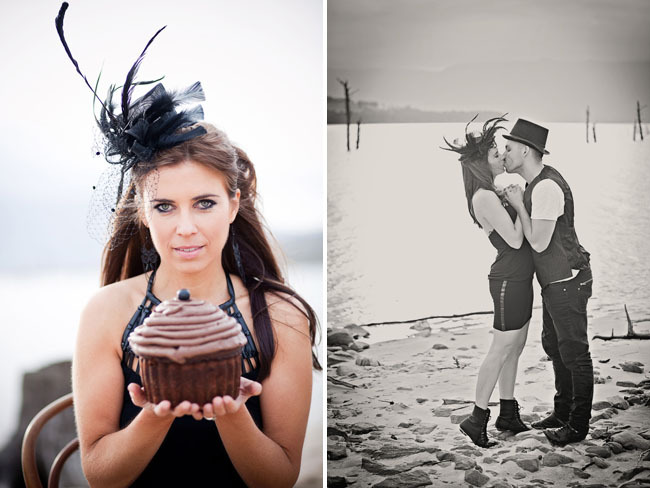 With Halloween coming up next week, I thought Suzanne + Vichi’s engagement photos were perfect to share today! Suzanne was inspired by the work of Tim Burton (director of beautifully artistic movies such as Big Fish, Corpse Bride, Edward Scissorhands and Alice in Wonderland to name a few). His movies are totally bizarre with wonderfully wacky characters, but his movies always have a happy ending with a moral lesson to be learned which I just love. 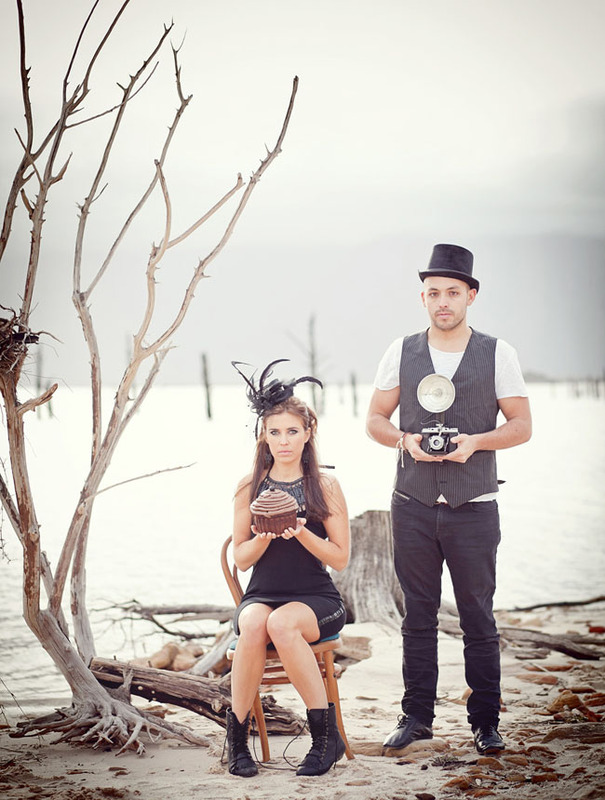 They didn’t want to go full on Tim Burton (might have been a bit too weird for an engagement session!) 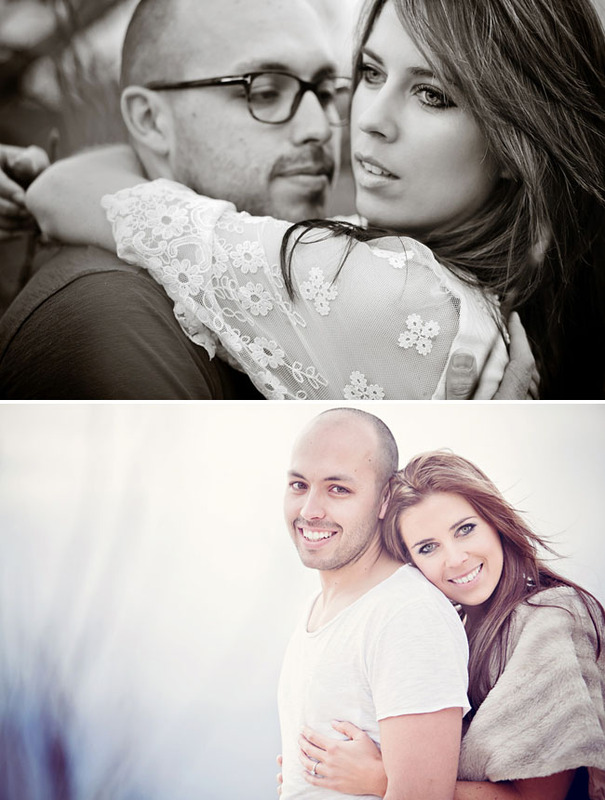 and I think Jani B Photography helped them find a perfect mix of beauty and weird. 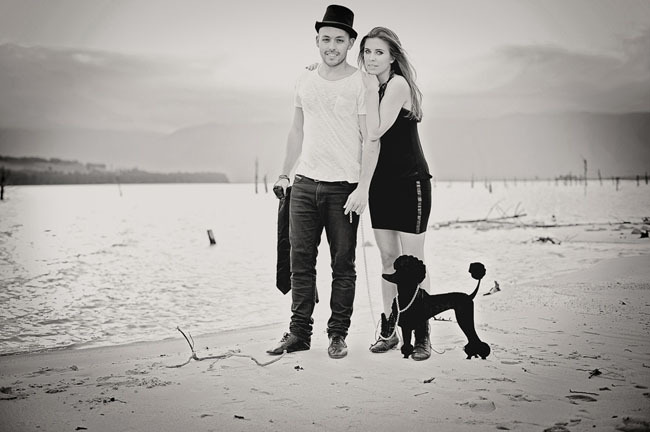 Oh, and another fun fact about this couple – they live in Cape Town, South Africa! Just love hearing from our readers all over the world! Congrats you two cuties! A perfect mix of beauty + quirky! Congrats to Suzanne + Vichi and thanks so much to Jani B Photography (located in Cape Town, South Africa) and to Rose Room for the styling. 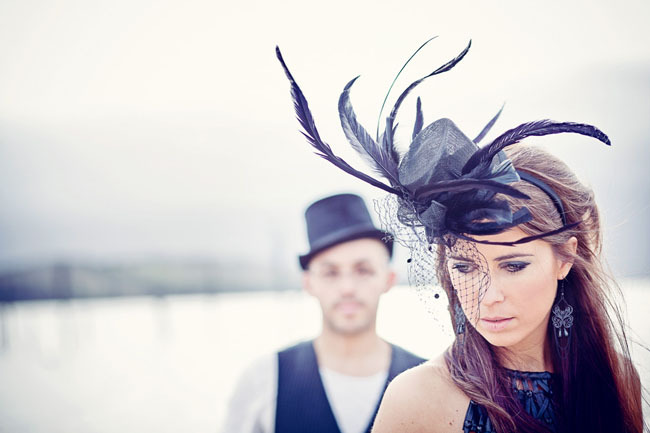 You can see more photos from the shoot here on Jani’s Blog. love love love it! 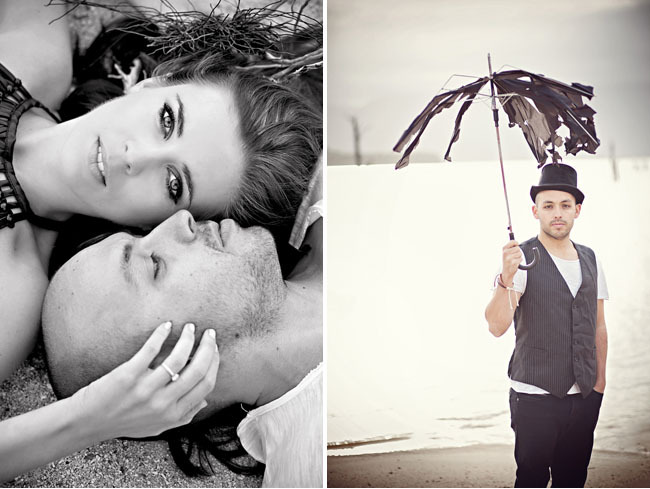 So fun to see couples doing something totally different for their engagement photos! Love Tim Burton and love these photos! The one with the dog is so awesome!!! Ha! Love his umbrella! And that last photo is epic!!! I really like this session! Awesome with the umbrella and dark little accents. These pictures are just beautiful! That umbrella is classic. I love the one with the picture frame. Wow, such a creative shoot! I love the colors! I very inspired! Perfect balance and bizarre and beautiful. Love it. This is ab so lute ly fabulous! Hey! I’m from Cape Town too! Lovely pics! The torn umbrella is cute! 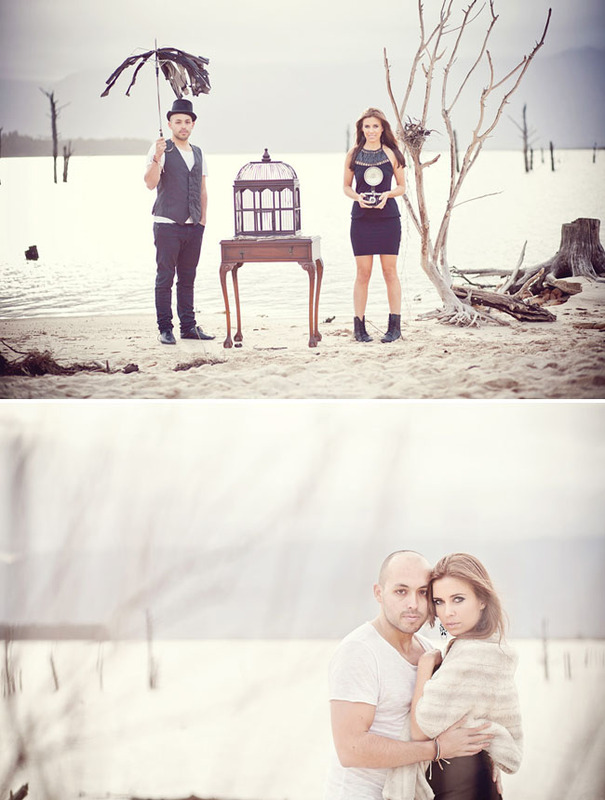 Lovely engagement theme and photos!The couple looks like a professional model!Great! Jani you are really something special! I like all your photos and these engagement one are so unique-like two of them, specially my pretty girl Suzanne and my handsome son Visko. I lough a lot on these great shots. I would like to see them in some magazines, maybe you and them will receive big prize, go for it!